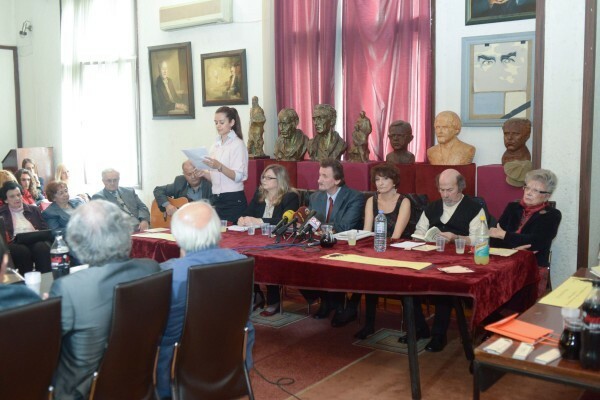 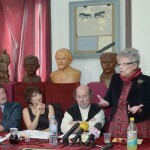 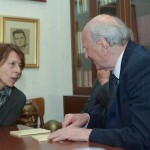 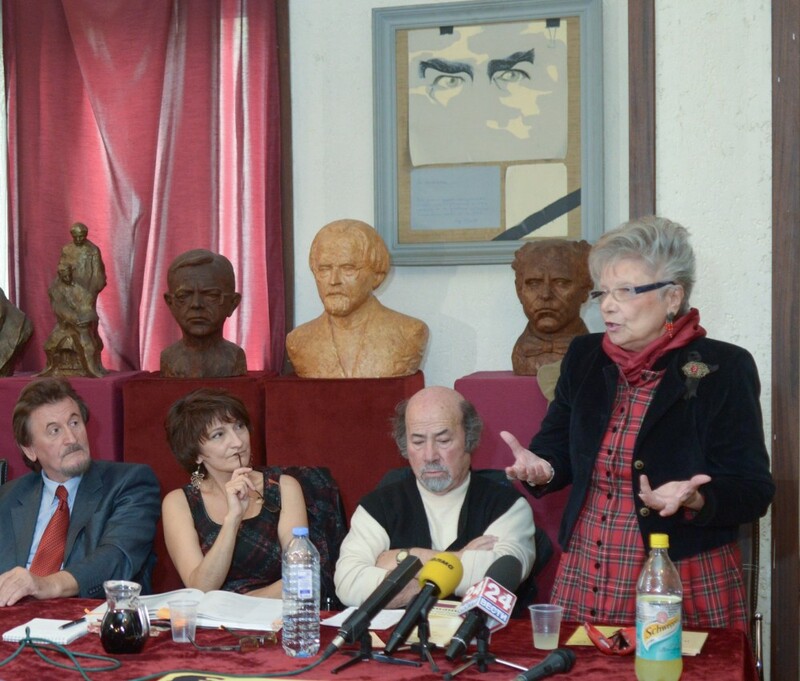 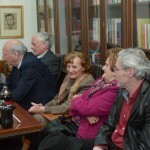 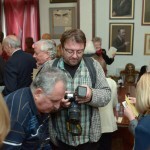 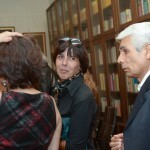 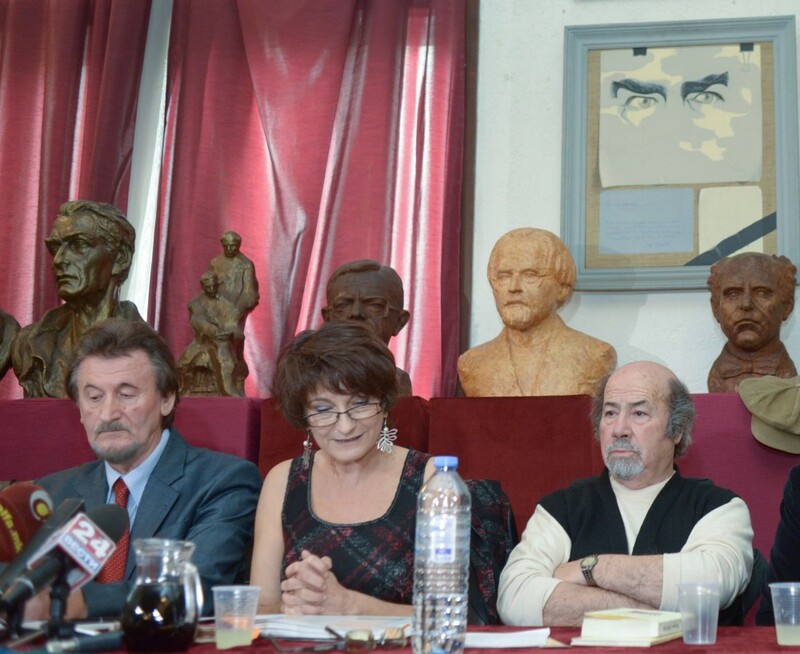 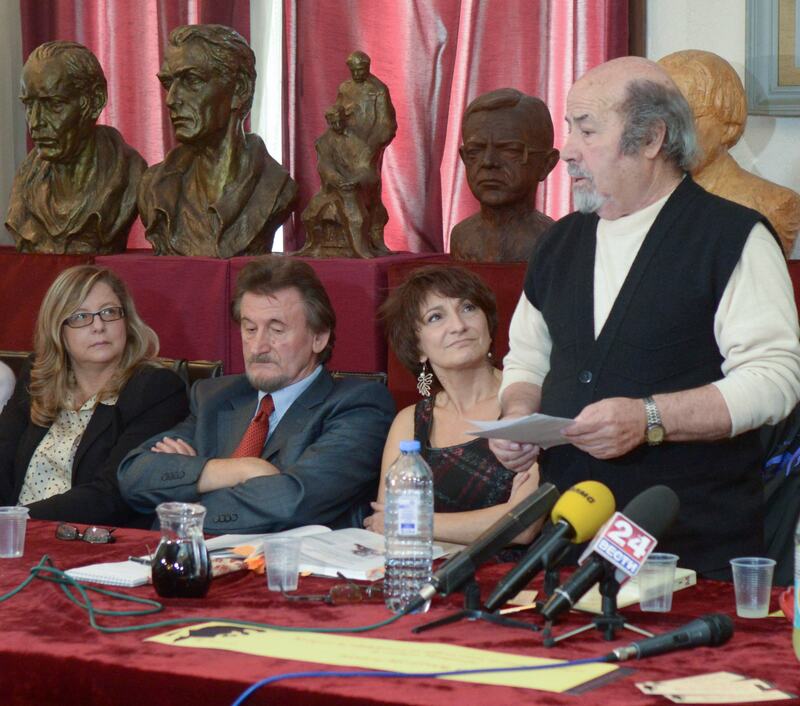 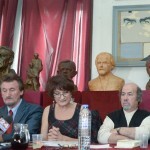 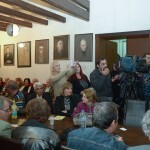 “Aco Šopov’s first book, which is also the first book to be published in the Macedonian language at the end of the Second World War was published to announce freedom”, said Vele Smilevski (photo to the right), president of the Macedonian Writers Society when he opened the hommage to the poet held on 7 October 2014, on the occasion of the 70th anniversary of the publication of the collection Poems (1944). 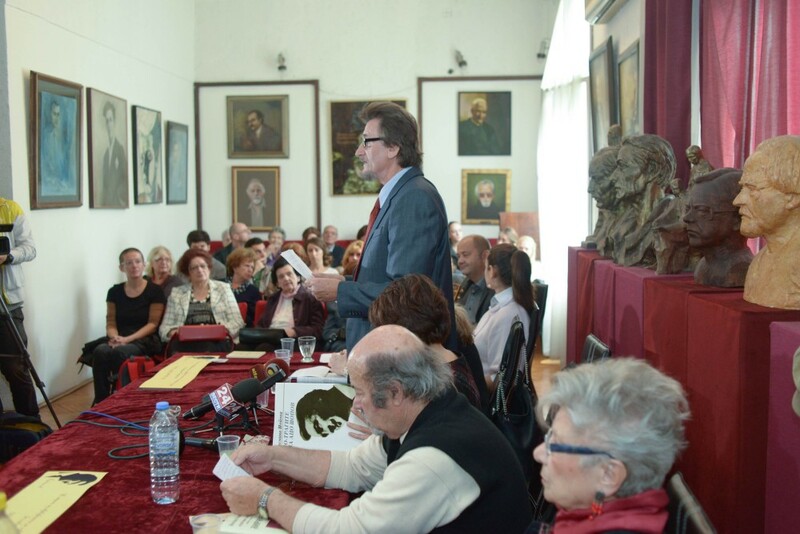 “In this book that breathes at the pace of his era, Šopov’s poetic inspiration can already be seen”, he added. 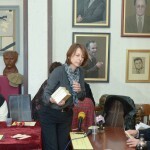 Sonia Stojmenska Elzeser addressed the literary and historical aspects of Poems (her presentation in Macedonian is available here), Gordana Mihaïlova Bošnakovska Bošnakovska spoke of the love poems in this collection of poetry of the resistance, whereas Mihaïl Rendžov recalled memories of his friendship with Šopov. 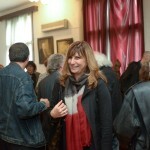 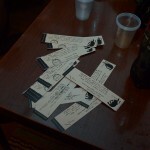 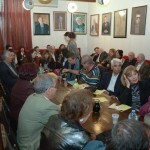 The event was designed and moderated by Jasmina Šopova. 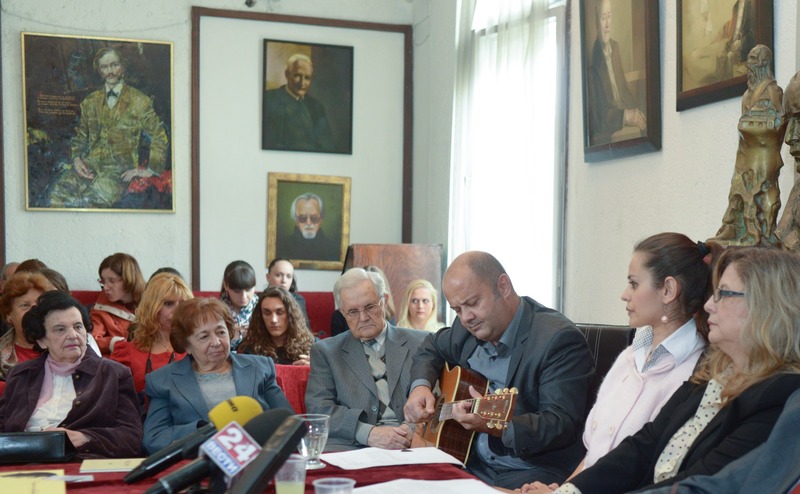 Аleksandra Velinova read excerpts from the book, accompanied by guitarist Petar Rendžov. 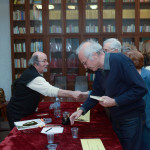 A copy of the facsimile of Poems was given to each guest. 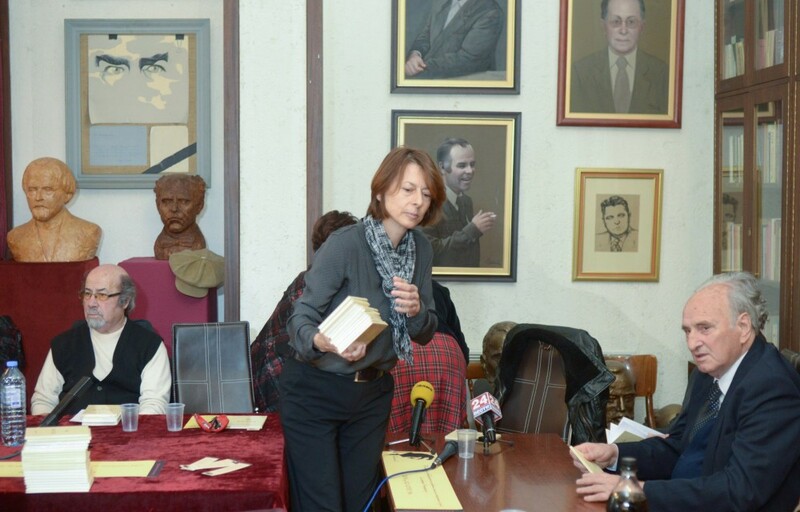 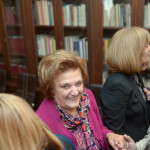 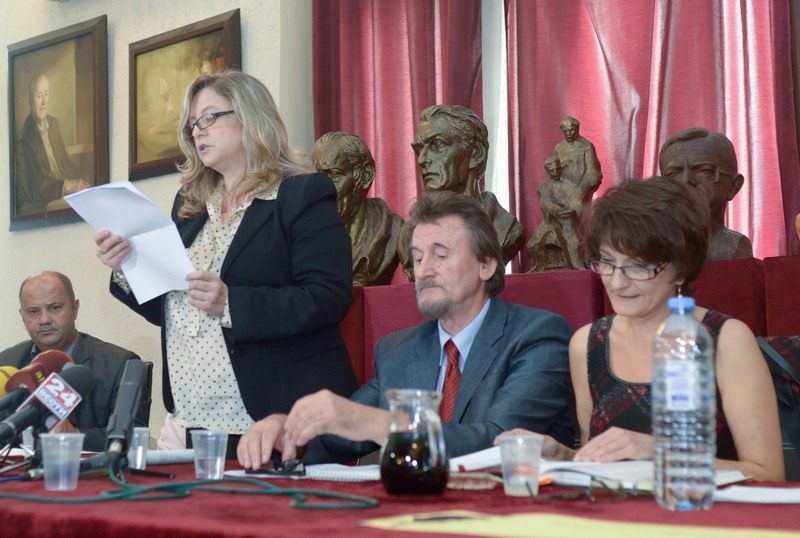 “With this latest publication, Skopje’s Publisher Sigmapres asserts itself as the keeper of Aco Šopov’s memory”, said Maja Bojadžievska, who took over the publishing house of her father, Kosta Bojadžievski, a colleague and close friend of Šopov. 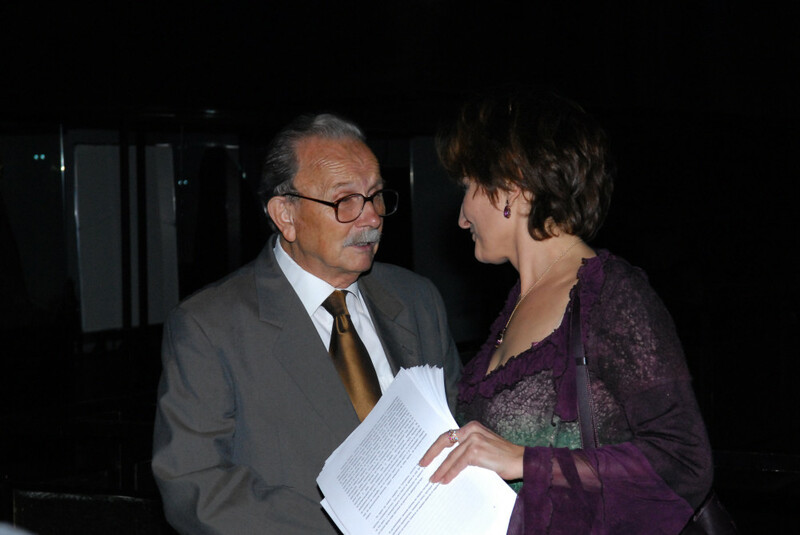 Kosta Bojadžievski had published a voluminous monograph on the poet in 2002 (in Macedonian), as well as the bilingual book Senghor – Šopov: Side by Side, in 2006. 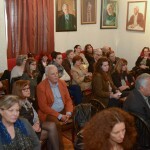 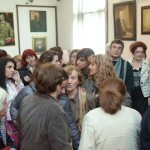 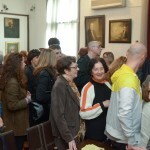 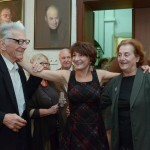 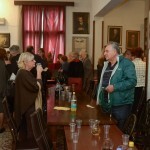 For the 70th anniversary of the publication of Aco Šopov’s collection Poems, the Saints Cyril and Methodius Univertity of Skopje organized the launch of Aco Šopov’s Lyrical House, this very same internet site, on the following day (8 Octobre 2014).